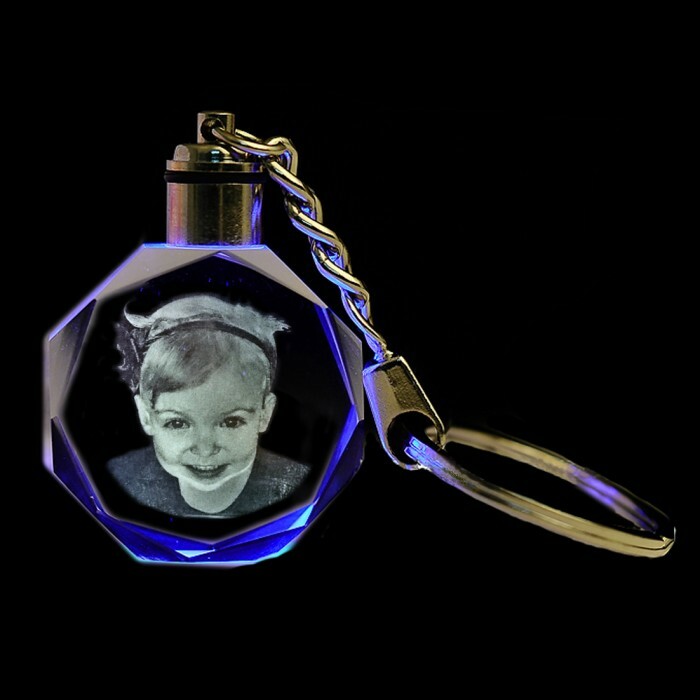 This 2D Personalised Octagon Crystal Key Ring/Chain can be engrave with any photo of your choice. Does not light up. Comes gift boxed and guaranteed satisfaction or your money back. Crystal size 30mm, overall length 90mm approximately.